Yes, the water gets colder but what most people don’t realise is the dive conditions get BETTER! The seas get flatter which means we have access to dive sites that are more exposed and can rarely be dived during summer such as Voodoo Cape Solander, Shark Point, etc. The seals come to visit! this is probably one of the most exciting things to happen as they are only here while the water is cooler, we run regular dives with these guys down in Wollongong. As anyone who has dived with them, they really are the puppies of the sea and just so playful, you really won't get interaction with any other ocean creature quite like this. There are far fewer people at the popular dive sites. I’m sure you have all had days in January when it’s 40 degrees on a Saturday and you’ve been trying to get a park at Bare Island or Camp Cove and it’s near impossible, you end up parking so far away you end up losing 5 kilos before you actually get to the water. Not a problem at this time of year! Also, it means fewer divers in the water so the dive sites and reef lines aren’t as crowded! The main reason I enjoy diving at this time of year and I guess a lot of people would agree with me is WATER CLARITY! The visibility at this time of year (barring a few random bad luck days) is really amazing. I remember last year hopping in for a dive with Jamie at Cape Solander, putting my face in the water and I could have sworn we were in the tropics. The water was beautiful and blue and the vis must have been 25 – 30m. Seriously it will blow you away! Now I'm not going to try and pretend that the water doesn’t get colder, of course, it does and some people just feel it more than others. Most of us will dive in a semi-dry wetsuit all year round and be fine, but if you’re a person who feels the cold you know how unpleasant it can be to be constantly shivering on a dive, you just don’t enjoy it. The way I like to think of it is like going skiing. You wouldn’t show up to a snowfield in a pair of shorts and a shirt. No matter how much of a dedicated skier you were you would be cold and wouldn’t enjoy yourself right?? Same goes for diving, wear the right exposure protection and you can enjoy amazing diving in Sydney all year round. For a lot of people, this means getting a drysuit. I have to say it is probably one of the best bits of dive equipment I ever bought. 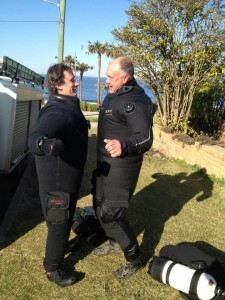 Nothing can quite compare to the feeling on a cool day, going for an awesome dive and getting out of the water, taking off the top half of your drysuit and being toasty and warm in what is essentially a doona onesie… AMAZING! Obviously, diving dry has a few more things involved and the style is a little different but once you have it down it really is so great. I can't even explain it, you just have to try it for yourself! What I would recommend to anyone who wants to get into drysuit diving or even just give it a go is to do your drysuit course. We run these every few weeks during July, August and September. 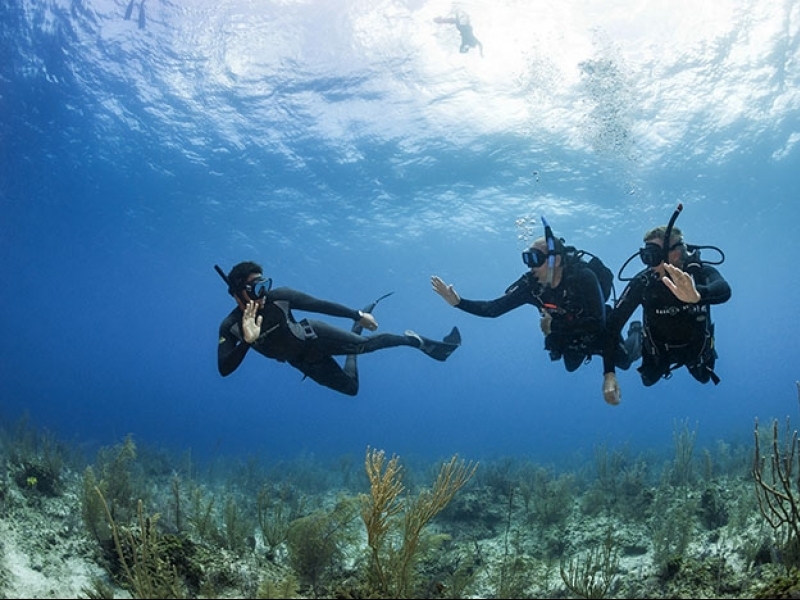 It gives you a chance to get in the water for the first time in a drysuit under the direct supervision of a PADI Drysuit Specialty Instructor. 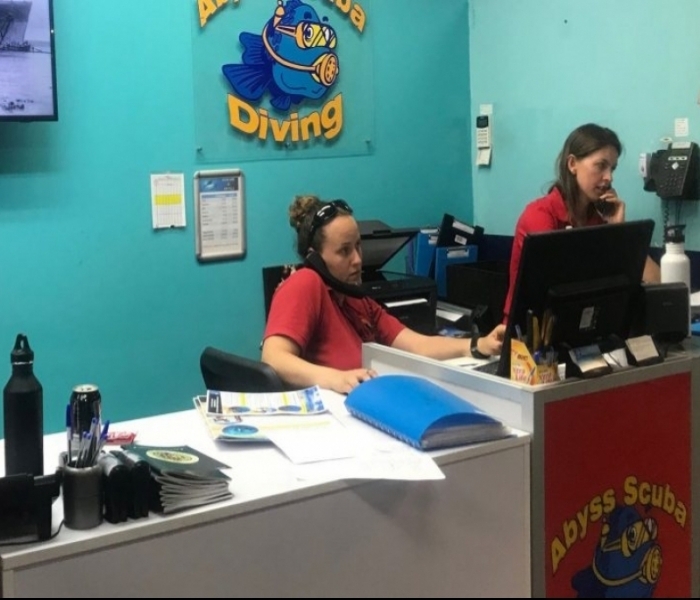 They are there to help configure your regulators (you need an extra inflator hose), help fit the suit, trim seals correctly if needed, make sure you get your weighting right, give you tips and help with your buoyancy and basically just guide you through your first few dry dives! It also counts towards your Master Scuba Diver rating! We sell the Hollis FX100 drysuit here in our shop and is what most of our divers use, it is tri-laminate material so ideal for Sydney shore diving as they are really strong and hard to damage, unlike neoprene drysuits. You can either bring your own drysuit along to the course or we have the option of drysuit rental for the day if you’re not quite sure yet, but trust me, after the course, you will be! I hope after reading this you are inspired to try it dry, it really is a unique feeling and if you’re the kind of diver who misses out on the best conditions of the year because you’re cold, you don’t have to be anymore!